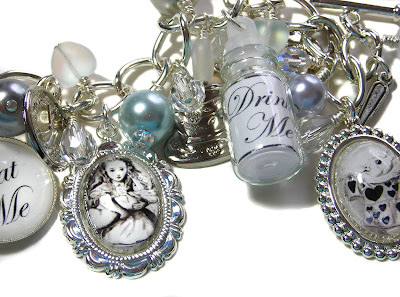 Above is my latest addition to the Alice series, just lovely silver looking components, works really well I think! 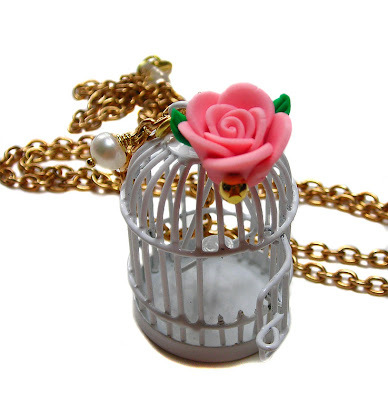 And below, I love these vintage looking bird cages, they are so pretty and look great with these polymer clay flowers and brass chain, not to mention a pretty little pearl to finish off. 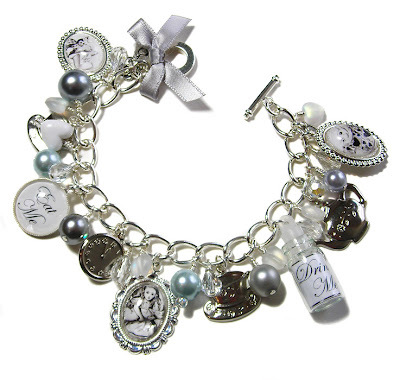 I love the alice bracelets, very pretty. And the little birdcage is adorable. I love those, must get me some!